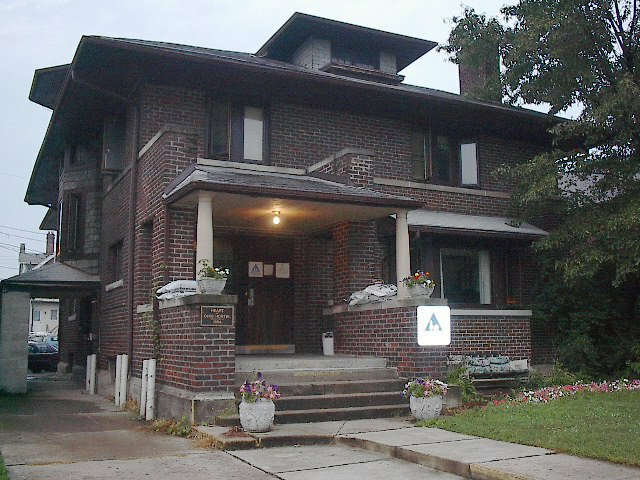 Front door of the Heart of Ohio Hostel. Located right across the street from Ohio State University. 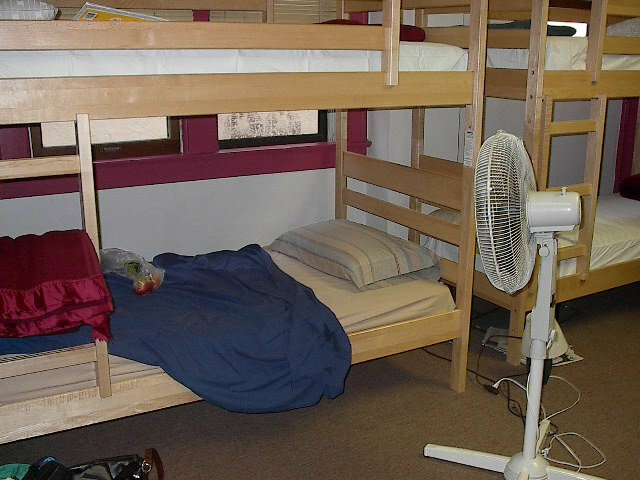 The hostel was practically empty. Had the woman's dorm to myself again. The second night of my trip. It's always a relief to find a place to sleep before nightfall. Columbus traffic was pretty bad. Was happy to find the hostel. It was still soooo hot! Jumped in the shower but it was so steaming humid that as soon as you got out of the shower you're sweating again. No exaggeration. Never thought I'd be able to sleep. The fan helped. Up and out of Columbus by 5am. Hoped to find someplace cooler by nightfall. Need coolness--bad!